I had forgotten how hot it gets in NYC over the summer and it seems that the heat waves are starting early this year. New York doesn't have the best air conditioning and many apartment buildings end up like saunas at this time of year. 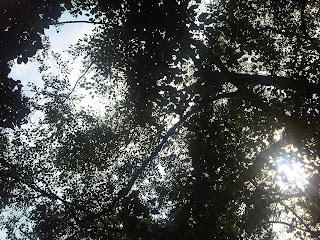 I am lucky enough to live near Central Park, so I often pop over there to cool off in one of the many shady areas. The park gets even busier at this time of year, especially at the weekends, but there are still quiet spots to be found. The park tends to be quieter the further north you go, there are also fewer tourists and you avoid the horse and carriage tours. I haven't been yet, but there is a free public swimming pool located mid park between 106th and 108th Street. The Lasker pool is open from now until Labour Day. For more information visit http://www.centralpark.com/guide/attractions/lasker-pool-rink.html. For those of you who don't want to actually get wet, or go to a communal pool, Central Park offers row boating on a 22-acre lake. Boats can be hired from the Loeb Boathouse from 10am-5.30pm. Rental starts at $12 an hour and then $3 for every 15 minutes after that. Although it sounds idyllic, it is a very popular attraction so you may have to wait a while before you get on the water. 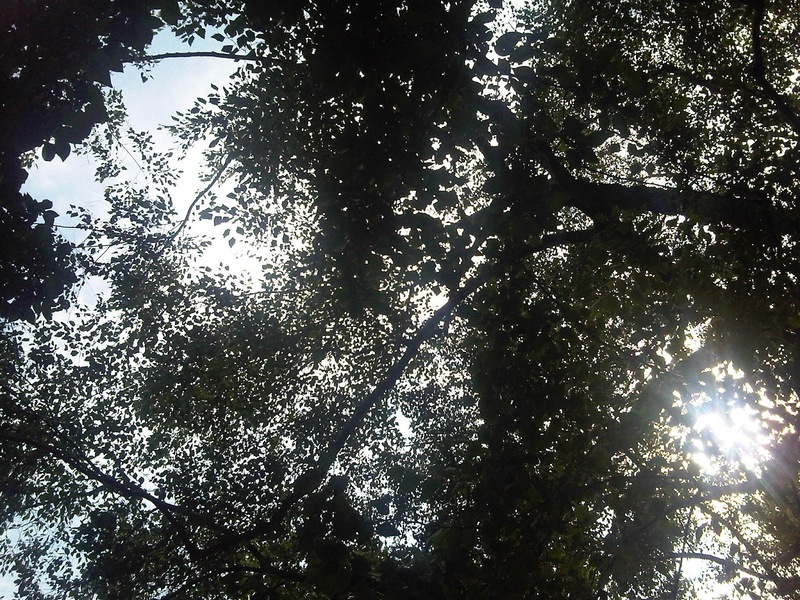 Central Park is a wonderful facility to have in such a big, crowded city and although the park has a lot to offer, I enjoy escaping into a quiet corner to read a book and look up at the trees! For more information about Central Park and upcoming events, visit http://www.centralparknyc.org. It took me ages to find a decent hairdresser when I fist arrived in NYC. I tried some of the well-known salons, but wasn't happy with the end result nor did I enjoy the experience. I was really unhappy with the colour (I get highlights) and the condition of my hair. The extreme weather here, cold and dry in the winter and hot and humid in the summer, was really taking it's toll. When I saw that 'Gilt City' were running a deal for the 'Anthony Leonard Salon' about a year ago I thought I would give them a try. The salon is located on 54th Street and Madison, and although the building doesn't look great, don't let it put you off as it is lovely inside. I received a warm welcome when I arrived and was made to feel comfortable straight away. I was taken over to meet my colour artist, Jane, who was so friendly that I felt as if I had been coming to the salon for years. She listened to how unhappy I was with the current state of my hair and called over my stylist, Tiffany, so we could come up with a plan of action. Tiffany was just as lovely as Jane, and between them they came up with the best way to treat my hair so I would be happy with the end result. They worked their magic for 3 hours and I left with an amazing colour and fantastic hair cut. I was so thrilled with the results that I have been going there ever since. What I love about this place is the atmosphere throughout the salon. The staff aren't bitchy and you don't feel that anyone is whispering about you while you are in the chair. Everyone says hello and ensures that you have a positive experience every time you visit. I have found that decent salons are expensive in New York, and this salon is no exception, although is is cheaper than the others I have tried. I try to think of it as an investment, you wear your hair everyday and everyone can see it, so it's worth going to the best place you can afford. I would definitely recommend the Anthony Leonard Salon, so if you are looking for a decent hair dresser in the city give them a try. For more information visit http://www.anthonyleonardsalon.com. 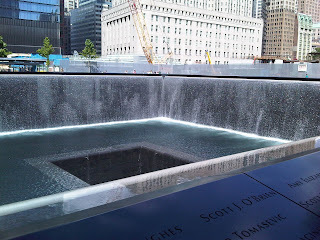 I am sure that most people remember where they were on September 11, 2001. When I came to live in New York I became more aware of the horrific events that took place that day, and how people are still affected. It took many years to decide what should be put in place of the twin towers and what would be the best way to honor those lost in the attacks. A competition was held to design a memorial, and in 2004 'Reflecting Absence' was chosen. I went to visit the 9/11 Memorial last week and I think they succeeded in creating a place where visitors can pay their respects and reflect on what happened that day. 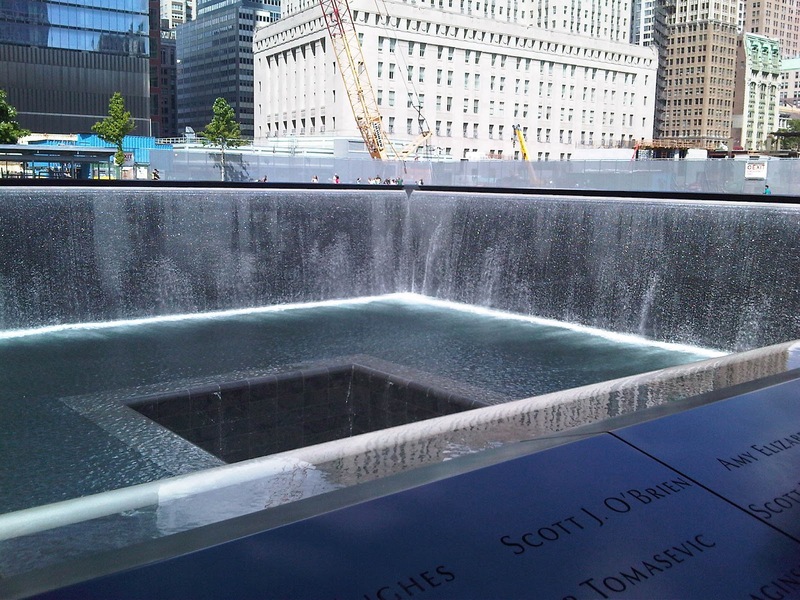 There are two large waterfall pools where the towers used to stand and the names of the names of those killed are inscribed on bronze parapets around them. The pools are surrounded by the trees of the Memorial Plaza which is one of the most Eco-friendly to be created. As you can imagine there is a lot of construction work taking place around the memorial as the area is rebuilt. I am sure that once this is finished the area will feel even more calm and peaceful. Tickets are required to visit the 9/11 Memorial and can be obtained online. Although entry is free there is an opportunity to make a donation when you reserve your time slot. Visitors will have to go through security before entering the memorial, so be prepared to queue when it is busy. I was very moved during my visit to the 9/11 Memorial. Seeing all of the names listed in front of me made think about how many lives have been affected by this event. Visiting the memorial gave me the opportunity to pay my respects to those people. 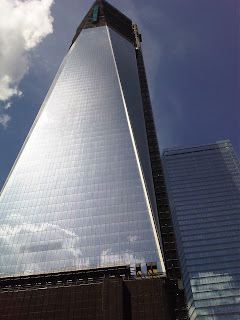 For more information, to reserve tickets and make donations please visit http://www.911memorial.org/.